According to Digital in 2018, a report on the global digital landscape by social media agency We Are Social and social media management platform Hootsuite, there are 61 million unique mobile users in the Philippines today, equal to 58 percent of the total population. More interestingly, the report also revealed that there were 121.4 million mobile connections in the country as of end-2017, which means that almost every mobile user either has dual SIM cards or at least two mobile phones. 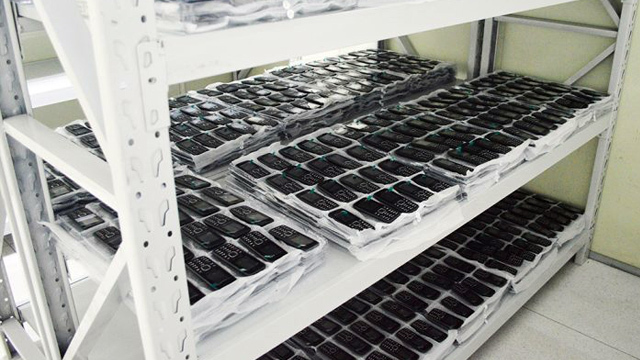 That’s good news for STAR Telecom Alliance Resources Inc., the manufacturer of local mobile phone brand Starmobile. Established in 2011, the company was founded by several veterans of the telecommunications industry with the aim of providing a cheaper alternative to international brands. And while the company did not give exact figures, the number of Starmobile units sold by 2017 was “in the millions already,” according to Gerardo Balderrama, Starmobile’s sales and marketing head. But with more opportunities comes more competition, and the mobile phone industry has become more crowded seven years after Starmobile launched. When asked about the company’s main competitors, Balderrama mentioned three other local brands—Cherry Mobile, MyPhone and Cloudfone—but he also acknowledged foreign players who, like Starmobile, are beginning to target lower price points with their products. Two of these brands are relatively new Chinese players Oppo and Vivo, who only launched their products in the Philippines in 2014 and 2015 respectively. Despite the shorter time in the market, aggressive marketing campaigns have made both brands top players in the local industry, particularly in smartphone sales. A report by International Data Corp. (IDC) Philippines on local smartphone sales revealed that Oppo and Vivo were the third and fifth largest smartphone vendors in the second quarter of 2017 respectively, which the report attributed to “cash-rich marketing, aggressive sales promoter incentives and previously unseen levels of retailer support.” Only two local brands made the top five—Cherry Mobile being the largest smartphone vendor and Cloudfone at fourth—while Korean electronics giant Samsung placed second. Indeed, Elijah Mendoza, product marketing manager at Starmobile, recognized that Oppo was “the one raking in the most revenue” in the industry. Data from the Securities and Exchange Commission (SEC) reveal that Oppo’s Philippine unit reported revenues of Php2.5 billion in 2015, which was not only ahead of Starmobile’s Php1.2 billion but also of fellow local brands Cloudfone (Php2.3 billion) and Cherry Mobile (Php0.9 billion). However, Oppo lagged behind MyPhone manufacturer MySolid Technologies and Devices Corp., which reported revenues of Php3.5 billion in the same year. No information on fellow Chinese distributor Vivo’s sales is available at the SEC as of end-January 2018. While Oppo and Vivo are slowly becoming the dominant choices for smartphones, Balderrama revealed that smartphones were only one part of the entire industry. In terms of feature phones, or mobile units that only focus on basic capabilities such as voice calls and text messages and are often sold in lower price points than smartphones, the local brands dominate in sales, according to Balderrama. Starmobile hit a milestone last year as it became the first local phone distributor to manufacture its units in the Philippines, opening a production facility in Calamba, Laguna in June 2017. 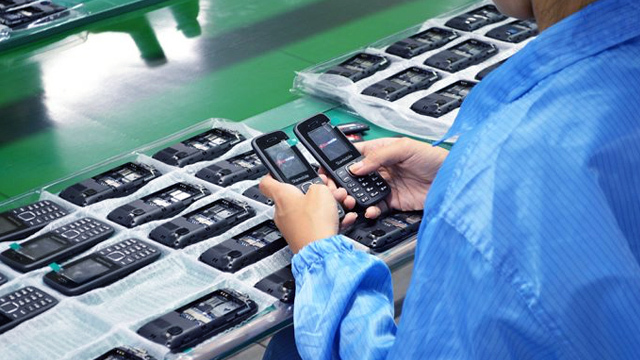 The assembly plant currently produces two of its feature phone models, UNO B208 and UNO B308, and is reported to make a minimum of 1,000 units per day. Starmobile is also looking into establishing partnerships with well-known brands to beef up its audience. Last year, it forged a three-way partnership with pawnshop chain M Lhuillier and telecommunications company Smart Communications to create the ML Phone, a customized smartphone for the pawnshop’s employees powered by a Smart prepaid SIM card. The ML Phone’s biggest feature is the ML Wallet, a pre-installed app that can be used for financial services. It is also customized to bear the M Lhuillier brand rather than Starmobile’s, from the phone’s shell to the logo that pops up when you open the phone. The Digital in 2018 report revealed many key facts on the Philippines’ social media presence, most impressive of which is how Filipino internet users still spend the longest time in social media. That’s more good news for Starmobile, which, according to Balderrama, holds the business page with the most number of likes on Facebook in the Philippines. “We saw the importance of really going heavy into digital marketing because it’s one of the most high-value ways to market,” said Balderrama. He added that they leverage this wide network of followers by frequently doing Facebook promotions and posting informative videos about their products, the latter of which Balderrama sees as an important way to build the brand and connect with the customers. According to Balderrama, at the heart of Starmobile’s strength as a brand is its push toward constant innovation. 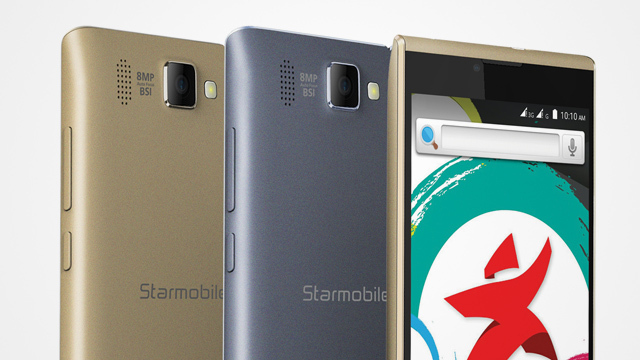 He revealed that many Starmobile units were the first to bring certain functionalities to a local mobile phone. According to the “innovations and milestones” page on its website, some of the brand’s firsts include the Jupiter B305, the first local phone with a built-in Bluetooth handset; the Octa, the first local phone with near-field communication (NFC) capabilities; and the FeatureSmart Evo1, a unit it designed in partnership with Smart Communications that became the first local keypad-based phone to support voice over LTE. For Balderrama, that innovative push encompasses all of Starmobile’s operations, even beyond its mobile phone products. He noted that Starmobile’s local phone manufacturing facility, its brand partnerships and its large social media following are all results of its willingness to innovate. “We are all about innovation, not just in handsets but even in the distribution, even in the partnerships,” said Balderrama.